Your order will ship TOMORROW if placed in the next 11 hours 11 minutes . Enter your shipping address zip code to receive an instant delivery date estimate from UPS. Federal Gold Medal Berger 6.5 Grendel Ammo 130 Grain Berger Hybrid ammo for sale online at cheap discount prices with free shipping available on bulk 6.5 Grendel ammunition only at our online store TargetSportsUSA.com. Target Sports USA carries the entire line of Federal Gold Medal ammunition for sale online with free shipping on bulk ammo including this Federal Gold Medal Berger 6.5 Grendel Ammo 130 Grain Berger Hybrid. Federal Gold Medal Berger 6.5 Grendel Ammo 130 Grain Berger Hybrid review offers the following information; For nearly a century Federal Ammunition has put its focus on manufacturing quality products with cutting edge technology. This dedication to excellence has given Federal a competitive edge as an ammunition technology giant. Today the company is well known for producing high grade centerfire, rimfire, and shotshell ammunition that shooters everywhere know and trust. Engineered to include a more sophisticated boat-tail bullet, the Berger line has the ability to keeps a much higher ballistic coefficient all while supplying the smoothest trajectory. This is designed for less wind drift and drop promoting an optimum round for long range accuracy. With accuracy and performance in mind, Federal developed the Berger rounds with Gold Medal primers ensuring the smoothest shooting experience and a more accurate shot, each and every time. Additionally this rifle round includes Federal brass and specially devised propellant, which are designed to hold fast to Federal’s fine tuned stipulations for precision, force and velocity. Each of these rounds has been tested to ensure that the bullet dimensions are able to perform well under SAAMI specifications for OAL. Like all Federal ammunition, the Gold Medal Berger line is new production, non-corrosive, in boxer-primed, reloadable brass cases. 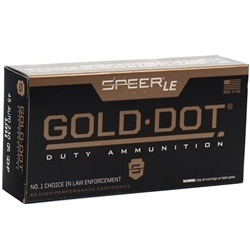 This Gold Medal ammo is packaged in boxes of 20 and cases of 200 with free shipping available on full case orders. The new line of Gold Medal Berger is a continuous of this phenomenal line. Engineered to include a more sophisticated boat-tail bullet. The Berger line has the ability to keeps a much higher ballistic coefficient all while supplying the smoothest trajectory. 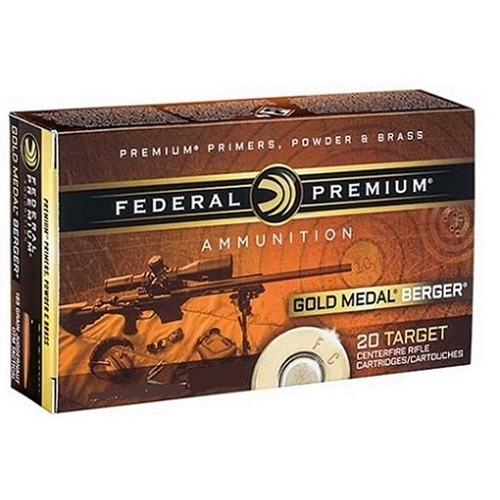 Federal developed the Berger rounds with Gold Medal primers ensuring the smoothest shooting experience and a more accurate shot, each and every time. Every round fired and grouped the best out of the 6.5 I've tried. I'll buy this Federal ammo from Target Sports USA again. Bought a couple boxes of Federal Gold Medal Berger 6.5 Grendel Ammo to try in my new build. Shot consistent 1/2 MOA at 100 & 200 yards both suppressed and unsupressed. Very consistent in my rifle. Great product! This is some really good ammo and I was using it in an average rifle and getting sub 5 shot groups at 100yds. Worked fine in my ar15 as well.